Kevin Bowe is a songwriter/producer/guitarist/engineer/mixer who got his start in the Minneapolis music scene that spawned Prince, The Replacements and Husker Du in the early 1980’s. After spending that decade in various punk and roots bands, he caught a break and met uber-producer David Z (Prince, Fine Young Cannibals, Big Head Todd). Kevin began writing for other artists. His first cut (“Riverside” on Kenny Wayne Shepherd’s Warner Bros. debut “Ledbetter Heights”) went platinum and led to a major publishing deal. Kevin became the first writer signed by legends Jerry Leiber and Mike Stoller in more than 20 years. Word got out about Kevin’s writing, leading to collaborations with Etta James, Paul Westerberg, Leo Kottke, Robben Ford, The Rembrandts, Paul Westerberg, Lynyrd Skynyrd, Dan Wilson (Semisonic), Richie Sambora, Chuck Prophet, John Mayall, Three Dog Night and Delbert McClinton. He played guitar on Westerberg’s 2006 North American tour. He has also toured with Gary Louris (Jayhawks) and Freedy Johnston. Kevin’s first production credit appeared on Shannon Curfman’s Arista debut “Loud Guitars, Big Suspicions”; he wrote seven songs for the album including the single/video “I Don’t Make Promises.” He also wrote four songs on Etta James’ RCA release “Let’s Roll” which won a Grammy. The move into producing stuck; Kevin’s demos got Shane Henry signed to Shanachie Records and he produced Shane’s debut album “Deliverance” as well as Renee Austin’s Blind Pig debut “Sweet Talk,” her follow up release and Tommy Castro’s #2 charting album “Soul Shaker” which Billboard called his “best ever.”He also recorded Paul Westerberg’s “Open Season” soundtrack album on Sony and mixed the Meat Puppets “Sewn Together” release with fellow IPR chair Colt Leeb. He produced Communist Daughter’s last album and is now working on Davina And The Vagabonds Red House Records debut. Kevin’s songs have been featured in many movies and shows like The Sopranos, Ray Donovan, Where The Heart Is, Steal This Movie, The Tonight Show, Letterman, Boston Public, The Young & the Restless, Austin City Limits, ESPN, VH1, CMT and MTV. He has been a regular supplier of music for ESPN for over 10 years. Between recording at IPR and his own new studio “The Kill Room” Kevin is one of the busiest producers in the Midwest, including blues, jazz, indie and punk, country and singer/songwriter; even Swedish folk music! He has just signed a new publishing deal in Nashville which keeps him busy writing out of town. More info and music at www.kevinbowe.com. His first cut, “Riverside” on Kenny Wayne Shepherd’s Warner Bros. debut “Ledbetter Heights,” went platinum and led to a major publishing deal. Kevin’s demos got Shane Henry signed to Shanachie Records, and he produced Shane’s debut album “Deliverance” as well as Renee Austin’s Blind Pig debut “Sweet Talk,” her follow up release and Tommy Castro’s No. 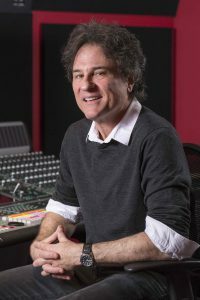 2 charting album “Soul Shaker” which Billboard called his “best ever.” He also recorded Paul Westerberg’s “Open Season” soundtrack album on Sony and mixed the Meat Puppets “Sewn Together” release. Kevin’s songs have been featured in many movies and shows like The Sopranos, Where The Heart Is, Steal This Movie, The Tonight Show, Letterman, Boston Public, The Young & the Restless, Austin City Limits, ESPN, VH1, CMT and MTV. He has been a regular supplier of music for ESPN for the last ten years. Kevin has earned three platinum records and has written songs on two Grammy-winning albums. Previous PostPrevious Walter Chancellor, Jr.